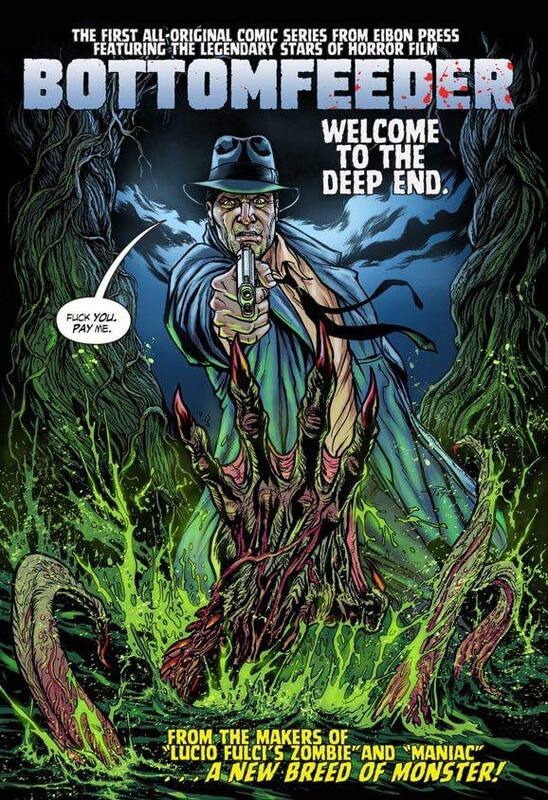 Grab the first original comic series from Eibon Press. Titled BOTTOMFEEDER, it “stars” Day of the Dead’s Captain Rhodes himself, Joe Pilato as Lieutenant Angell. This debut issue is available in “Signature Edition” limited to 250 copies and also includes a Joe Pilato download card (which allows you to hear him doing some of his classic lines from the comic), along with a double sided art print, a trading card and more! The no-frills “Standard Edition” is still available and limited to 700 copies. 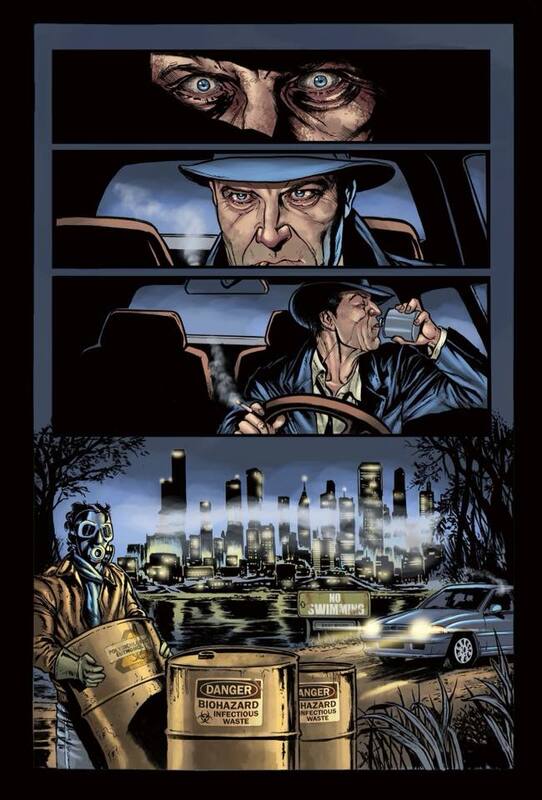 Written by Stephen Romano with art by Pat Carbajal. Colors by Javi Laparra and on sale now.